Over Think is the latest video from indie-folk quintet Elwhaeko featuring a dance routine choreographed by young dancers from the Skelton Hooper School of Dance & Theatre in Hull. The track features lyrics written by local school kids and is part of the Three Minute Heroes campaign from The Warren Youth Project – a mental health initiative that supports young people to express themselves. Watch it online here. Taj Express is a Bollywood extravaganza featuring music by Academy Award-winning composer A.R. Rahman, and acclaimed Bollywood composers, Salim & Sulaiman Merchant and Monty Sharma. Showcasing an impressive fusion of classical Indian and contemporary dance, the production celebrates the world’s most prolific film industry, and comes to The Peacock this week as part of its UK tour. Head to The Place for Seeta Patel’s powerful one-woman show, Not Today’s Yesterday, created in collaboration with Australian choreographer Lina Limosani. Inspired by the whitewashing of history, this award-winning production (Best Dance at the Adelaide Fringe 2018) blends techniques from Bharatanatyam, contemporary dance and theatre. Fans of William Forsythe will want to be at Sadler’s Wells on Thursday for the first performance of A Quiet Evening of Dance, a mixed bill of new and existing work performed by seven of the renowned American choreographer’s most trusted collaborators. Beijing-based choreographer Wen Hui comes to the Southbank Centre with the London premiere of Red. This intriguing dance docu-drama puts the Chinese Cultural Revolution ballet The Red Detachment of Women – first staged in 1964 as one of only eight permissible theatrical works of the time – under the spotlight. 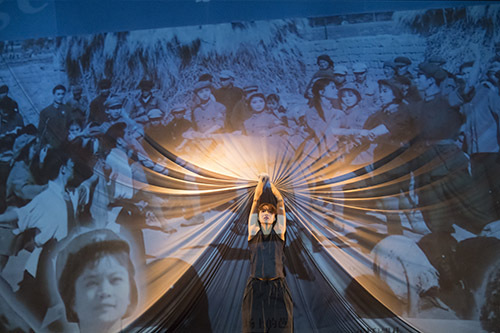 Hui, founder of Living Dance Studio, the first independent contemporary dance company in China, uses dance, filmed interviews with original cast members and archive material to unpick this ideologically driven artwork. Part of Dance Umbrella & the China Changing Festival. Dutch company Dadodans brings its playful and inventive work for ages 3+, KoKERS, to The Place on Saturday as part of Dance Umbrella. Using cardboard tubes, choreography and percussive sound, inventive landscapes are built and broken apart as the dancers balance, flip, throw, twirl and jump around the playground they have created. 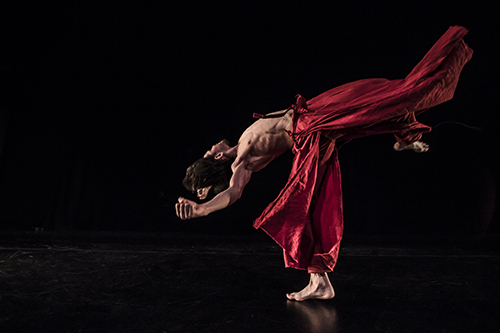 Si Rawlinson’s Red Ink comes to the Southbank Centre’s Purcell Room for a Sunday matinee performance as part of the China Changing Festival. The full-length work (first glimpsed at last year’s festival as a work in progress) explores the role of dissident artists and the struggle between the desires of state and citizen, using hip hop and contemporary dance.